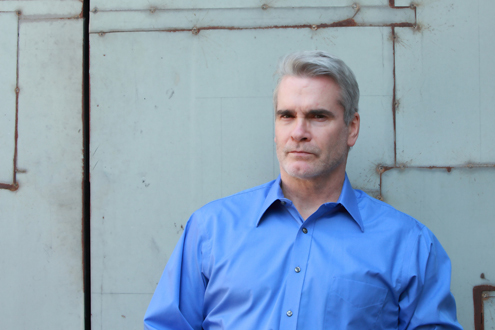 Henry Rollins returns to Australia this September, in what will be his first all talking affair since 2012! The mammoth month long national tour takes in all corners (and comers) from Newcastle to Hobart, Lismore to Margaret River, Milton to Alice Springs as well as the usual expected city hot spots. The September visit also has Henry making his long awaited debut at the Melbourne Arts Centre’s State Theatre. Sydney fans, your time will come; stay tuned for a special show announcement in coming weeks. Since his last sold out national tour in 2012, Henry, as you would expect, has been busy. Making a number of TV series for National Geographic, and the History Channel, had his first starring role in a feature film ‘He Never Died’, and been a part of one of the greatest live music / silent film projects ever undertaken, along side the likes of Grace Jones, Lemmy, Iggy Pop and many more legends of the game in Gutterdämmerung. As a solitary traveler with insatiable curiosity, Henry has toured the world as a spoken word artist, as frontman for both Grammy Award nominated Rollins Band and Black Flag, favoring road-less-traveled locales in places such as Nepal, Sri Lanka, Siberia, North Korea, South Sudan and Iran and … Australia! The epitome of a Renaissance workaholic, traversing multiple arts genres, Henry is an actor (Sons of Anarchy, He Never Died, Gutterdämmerung), voice over artist, author (over 25 books), photographer (Occupants) columnist (LA Weekly, Rolling Stone Australia), TV host (National Geographic, History Channel, IFC), radio DJ (KCRW), activist and spoken word performer (delivering countless shows around the world). In 2014 he was awarded the prestigious Ray Bradbury Creativity Award in recognition for his lifelong contribution to the arts, his passion for social activism, as well as his intense passion for the importance of maintaining books and libraries.